As we celebrate one of the only conversion stories listed in the Church’s liturgical calendar, namely, St Paul’s conversion from persecutor to Christianity’s most notable evangelizer, we ponder those stories portrayed in film that enlighten our own journeys. Basically, they give us hope that we can change and our lives can make a difference. In the Greek, the word conversion means metanoia, or “change of heart.” It often refers to a spiritual transformation, not only a change from one religion to another, but also a turning around such as a change in character or way of living. There are numerous stories, both fact and fictional, that delve into the hows and whys of transformation that happen in the human person. Film has a powerful way of bringing the extraordinary into our ordinary lives. We experience the emotional struggle and external challenges presented to anyone who seeks to change their lives for the good. They are ordinary human beings who face the darkness and come out into the light. They come up against a storm and persevere despite all odds against them. These are the stories that encourage us to live for love, and that alone is what truly matters. Here’s a list of some of my favorites: some more recent films and others that have endured the test of time. A few films are obvious about conversion, others less so. Paul, Apostle of Christ—[2018, Drama, Directed by Andrew Hyatt, Starring James Faulkner and Jim Caviezel] This most recent film about the Apostle Paul delves more deeply into his desire to preach a Gospel of love in the midst of persecution. Luke, his scribe and friend, records Paul’s thoughts and teachings. This film does not show Paul’s conversion in any detail, but it does show the effects: love tempers Paul’s fiery personality and makes him a gentle father to the growing Christian community. Click here for an online cinema novena using the film. 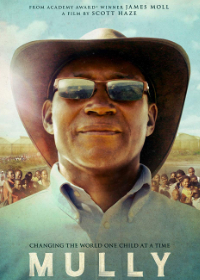 Mully—[2016, Documentary/Drama, Directed by Scott Haze, Starring Charles Mully] Telling a true rags-to-riches story, this film chronicles the life of Charles Mully, often referred to as the “Mother Teresa of Kenya.” He turns his life around after a profound conversion to Christianity when just a young man, abandoned and in the midst of destitution and despair. Through perseverance and determination he builds himself up to becoming one of the richest men of Kenya, owning numerous businesses and living comfortably with his family. It is precisely at that moment that God calls him to another conversion—to surrender all his wealth and give of himself to the poor orphans on the streets. Mully risks everything, even the security of his own family, to build Mully Children’s Family, the largest child rescue organization in Africa. A truly astonishing and heart-felt story. 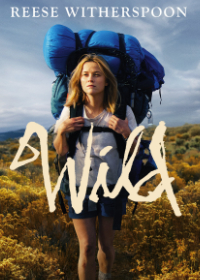 Wild—[2014, Drama/History, Directed by Jean-Marc Vallee, Starring Reese Witherspoon, Laura Dern] Suffering the loss of her mother, the breakup of her marriage, and a spiraling into self-destructive behavior, Cheryl Strayed makes a decision to change her life around. She embarks on hiking the Pacific Crest Trail from Oregon to California alone as a path to self-discovery and personal growth. It is by following the way of beauty that she begins to see life from a new perspective. She finally begins to truly live. 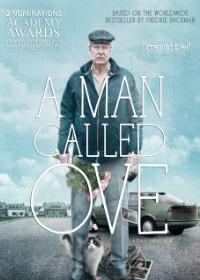 A Man Called Ove—[2015, Drama/Comedy, Directed by Hannes Holm, Starring Rolf Lassgard] Not every conversion story is necessarily of a religious nature, but one that makes the person more profoundly human. Ove, a cranky middle-aged man, is the curmudgeonly neighbor who no one wants to encounter. He recently lost his wife to cancer and also his job. He sees nothing to live for and so decides to end his life. Every time he attempts to do so, it fails because someone needs him. This humorous but touching story opens hearts to see that as human beings we need each other and only when we connect with genuine friendship and love with others do we see that life is truly worth living. 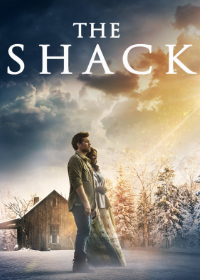 The Shack—[2016, Drama/Fantasy, Directed by Stuart Hazeldine, Starring Sam Worthington, Octavia Spencer, Radha Mitchell] Based on the bestselling book by the same name, this visual presentation presents a lushly symbolic view of God’s unconditional love for each person and His desire for a relationship with each of us. When tragedy strikes, Mack’s transformative spiritual journey begins. He receives a mysterious invitation to meet at an abandoned shack in the mountains where his daughter’s abduction took place. It is there where he meets God and the process of his healing and conversion take place. This film is a poetic retreat that calls us to go deeper in our faith and trust. Dumplin’—[2018, Drama/Musical, Directed by Anne Fletcher, Starring Jennifer Aniston, Danielle Macdonald] A plus-sized teenager endures her mother’s obsession with beauty pageants, having been a former beauty queen. Willodean, or Dumplin’ as her mother nicknames her, only ever felt accepted for who she is by her aunt Lucy, a larger-than-life personality who loved everything Dolly Parton, and who shared her same body shape. After Lucy dies, Willodean cannot seem to accept herself even when the cutest guy who works with her at the local diner asks her out. In a rebellious act, she joins the local beauty pageant that her mother manages so as to show her mother that she cannot refuse to have her participate because of the way she looks. Numerous transformations happen in the film, all which lead to loving people for who they are. 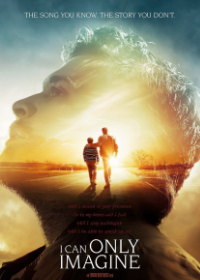 I Can Only Imagine—[2018, Drama/Musical, Directed by Andrew & Jon Erwin, Starring Trace Adkins, Dennis Quaid, J. Michael Finley] The story behind the multi-platinum Christian song by the same name, comes out of a person’s brokenness and attempt to deal with the pain of a dysfunctional family situation during childhood. Bart Millard leaves his alcoholic father to pursue gospel music with his band, MercyMe. When he returns his father has had a true conversion and is dying of cancer. Bart must not only accept the grace to forgive his father, but must search deep within himself for the faith that moves mountains. 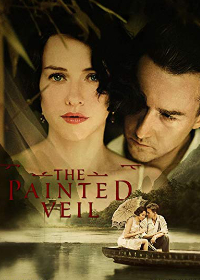 The Painted Veil—[2006, Drama/Romance, Directed by John Curran, Starring Edward Norton, Naomi Watts] One of the most beautiful films about marriage and relationships, this tells the story of a scientist who in the 1920s journeys to mainland China with his unfaithful wife to fight a cholera epidemic. Away from her temptations and bored lifestyle, his wife begins to see her husband in a new light and discovers the beauty in their relationship that has been there all along. Her transformation offers a chance at redemption. 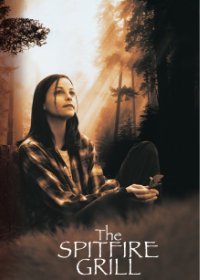 Spitfire Grill—[1996, Melodrama/Indie, Directed by Lee David Zlotoff, Starring Ellen Burstyn, Allison Elliot, Marcia Gay Harden] Seeking a new life after being released from jail, Percy Talbot finds herself in a small town in Maine. She finds work at a restaurant owned by the cranky Hannah, but is befriended by the waitress named Shelby. Suspicions grow about her and her past while she helps the sickly Hannah sell the restaurant. Percy discovers that Hannah provides food and clothing to a grisly homeless man. While she owns her past and seeks to be accepted for who she is, Percy also reaches out to the cautious beggar with loving acceptance. A most profound transformation takes place, even while misunderstanding and prejudice abound. 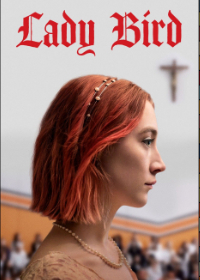 Lady Bird—[2017, Drama/Comedy, Directed by Greta Gerwig, Starring Saoirse Ronan, Laurie Metcalf] After her husband loses his job, Marion works tirelessly as a nurse to provide for her family. Her daughter, a stubborn, rebellious, and opinionated teenager constantly creates conflict with her mother, thus driving them further apart. In a comedic way, the director presents the mother-daughter relationship as so relatable and at the same time shows the need for reconciliation. When “Lady Bird” goes off to college she abandons herself to a wild and self-destructive lifestyle. After ending up in the hospital overnight, she wanders into a church and has a transformative experience. A truly affecting yet subtle presentation this film portrays reconciliation as essential to a real conversion.